Category Three challenges the preconceptions of humanity and aims to dispel these through theatre and the performing arts. We are theatre-makers who create for the general public, so people from all niches can share in the company’s knowledge and understanding of the issues faced by the outnumbered in modern society. We are committed to creating theatre that shows the absurdities of habitual life. We want to create significant, innovative and perceptively stimulating work, to reach out in meaningful ways to our audience. We work in partnership with other theatre-makers to expand the company’s work and thinking. We want to break preconceptions, to challenge people’s principles and encourage them to embrace themselves and those around them for whomever or whatever they might be. Where did Category Three come from? There is first, logic. Of things coming out of other things, a logical connection, be that cause and effect, or determined by categories or logical types, or motivational source, etc. […] Then there is category two. Random nonsense, nonsense, chance, random relations, all those kinds of relations or non-relations, whatever you choose to call them. 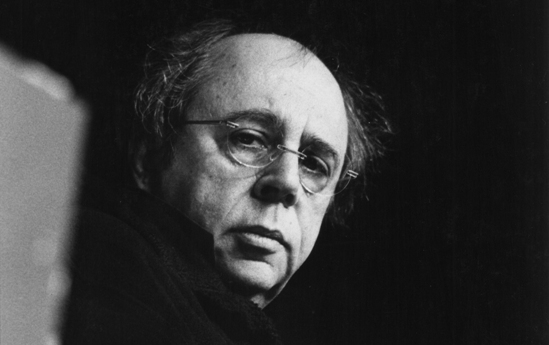 – Richard Foreman. Photo: Paula Court. So category three […] is a connective tissue that cannot be traced, and yet is the one truly lively way of perceiving the world. It lays down the ground of the real being alive, where the other two categories […] are predictable in their emotional kick. If something can […] flow through me in the right way, from these two other places at once, flowing through me, then I’m in category three.